Even if you’ve never attended a rave, you have probably seen one portrayed on film or television. Those glowing spheres-on-a-string being swung around are called poi, and [Matt Keeter] has designed a pair with an accelerometer upgrade. 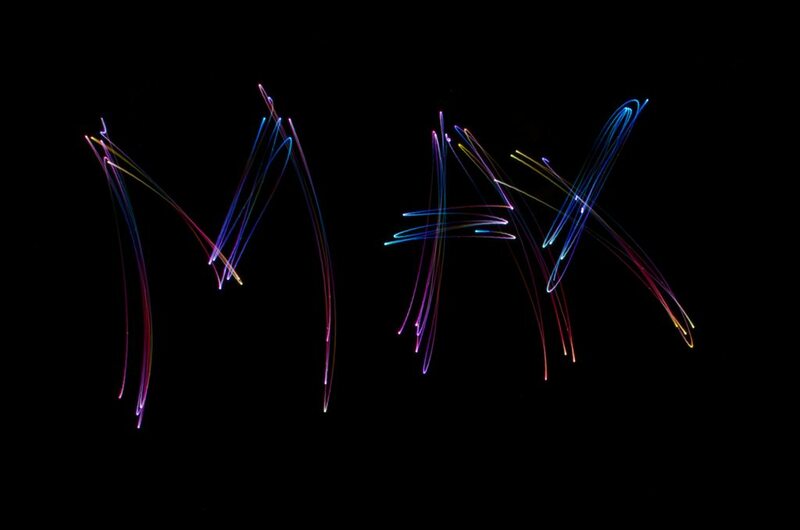 Poi have a long history and were originally made from plants, but contemporary examples usually feature some kind of light, whether it’s fire, LEDs, or even glowsticks tied to shoelaces. This build required double-sided PCBs and [Matt] had to custom make the protective covering that slips over the board. The poi are powered by 2 AA batteries fed into a 5V boost regulator. But wait, no microcontroller and no PWM? Actually, we think it’s quite clever that [Matt] took the output from the accelerometer and fed into an inverting amplifier. This keeps the voltage constant while allowing the accelerometer to vary the current. 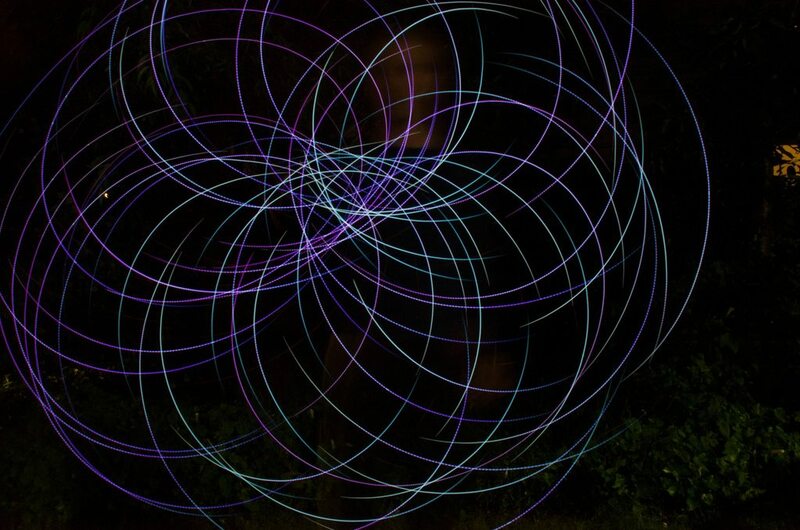 Had he used PWM, the fast motion of the swinging poi would instead produce a blinking effect. An additional trimmer potentiometer accounts for variability in the accelerometers’ output by adjusting the default brightness. If the recent recap of Burning Man has you excitedly planning to attend next summer, you’d probably find plenty of opportunities to use these in the desert. How fast do you have to spin before the blinking is noticable for PWM control, has anyone tried it? I would have thought that the microcontroller would give your arm a run for its money. I do prefer the op-amp though. lovely. I don’t get the use of T1. A well designed boost converter (same for bucks) doesn’t require a variable load to perform a good start. There is no pwm, The accelerometer has an analog output, buffered and amplified by the OP amp. The PWM isn’t in the brightness control but in the switch-mode power supply. If the output filtering of the supply is properly designed then it shouldn’t be noticeable. The output off a switch-mode power supply is usually noisy but it is never null so it can’t be PWM. I made a similar project with a 16-bit 24 MHz PWM (366 Hz update rate) and spun it on a 1m rope as fast as I could, and the blinking became visible. At lower speeds, it was not. More details in my reply below. I tried working this out on the toilet but i got lost thinking probably you would need human eye resolution or something. Let me know if you have any questions!!! I’d love to exchange stories. how much for a set of these in blue? You say that the voltage is kept constant. From what I can tell, this isn’t true. The voltage to the LED changes with he input to the op-amp. The current changes with the voltage mind you, but I don’t see how this is constant current. Why not just attach the string to a rotation sensor though. Or a sensor that detects the amount of pull on it, that should be a simple mechanical thing with the use of a springloaded attachment so it gets a varied resistance depending on the extension.of the spring. Just throwing out some ideas for the more mechanical minded hackers. Bosch BMA2XX series accelerometers come with a series of detection interrupts such as high g, low g, slope detection…. and can be programmed to work in stand-alone mode via SPI or I2C. They’re great and cheap (apart from the LGA-12 footprint). I was thinking of doing something like this… except instead of (or in addition to) using the accelerometer to control the lights on the poi, I want to control some photic driving goggles.